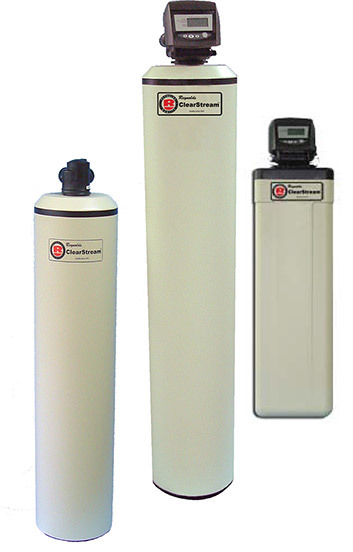 The Reynolds ClearStream filters are built for rugged, dependable service, from the finest materials available. ClearStream 1″ Metered control system programs itself to backwash, based on usage. No chemicals or regeneration are required …nuisance and maintenance free. 7″ diameter to 48″ diameter tanks available for virtually any application. Down flow final purge rinse at the end of backwash/rinse cycle…all models. The Reynolds ClearStream control system will initiate the backwash/rinse cycle based on the gallons used, at any time desired. The ClearStream control systems can also operate Duplex and Triplex units in parallel, shutting off, one at a time, to backwash as required. No backup battery is required because all settings are held up to 99 years. The clock time setting holds the correct time for up to 24 hours with a simple, no maintenance super-capacitor. All tanks through 16″ diameter use a slotted basket distributor, sized to the tank diameter and pipe size. All tanks 21″ and larger use, a scientifically designed Equa-Flow distribution system to direct the water equally through the media bed for high flow efficiency and elimination of ‘channeling’. Fiberglass tanks…10 years non-prorated in residential use, 5 years non-prorated in commercial use. 1″ Control Systems carry a 10 year non-prorated guarantee. Chlorine treatment for bacteria control is necessary in many municipal water supplies. Adequate treatment always leaves substantial chlorine residual to assure bacterial kill. This residual is not only unpleasant in taste and odor, but can cause chemical reactions which can be dangerous. Clear-Carb Filters completely remove chlorine. Dingy, Swampy, Earthy, Moldy and Fishy tastes are removed by Clear-Carb Filters. Taste and Odors due to the presence of petroleum products, chemicals and small amounts of sulfides are removed by Clear-Carb Filters. Many colors and stains due to decayed vegetation are cleared up beautifully with Clear-Carb Filters. Tannins require a special resin based system. The special carbon used in Clear-Carb Filters is a hard, durable material and will last many years. Requires no maintenance except automatic back-washing. 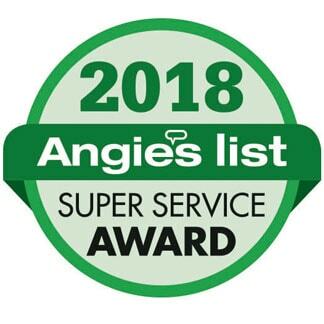 The super activated Carbon in this filter is a specially prepared carbon media that will remove moderate quantities of chemicals, organics and sulfides that a water softener/conditioner cannot. The Super-Carbon is not treated with any toxic metals or materials. Requires no regeneration or maintenance except automatic backwashing. Contact Reynolds for specific water treatment applications. The Oxy-Catalytic medium is a metal alloy which is bacteriostatic. It prevents the growth of iron bacteria and removes sulfide odors common to iron bacteria. Combined with a water conditioner/softener, complete iron removal is routine. Removes the majority of iron present. Rated flows are 3 times higher than other media in use today. Sediment Filters are used for the removal of turbidity, dirt and silt from water. Our outstanding, self-cleaning, sediment filters are a maintenance-free alternative to cartridge filters. No pressure drop, no more messy cartridge changes. Available in several sizes for any size home / family, or other applications. Sediment Filters are supplied with high quality stone-pumice filter aggregate. It has much higher capacity than silica sand.